The beginning of the story of pencils started with a lightning. Graphite, the main material for producing pencil, was discovered in 1564 in Borrowdale in England when a lightning struck a local tree during a thunder. Graphite, the main material for producing pencil, was discovered in 1564 in Borrowdale in England when a lightning struck a local tree during a thunder. + Just take a look at the second sentence: “Graphite, the main material for producing pencil, was discovered ….. during a thunder”, this sentence contains all three keywords in the question => The answer must be somewhere in this sentence. + Understanding the idea in the question, the answer is a place where graphite was found, so it must be the “local tree” struck by a lightning. Since the answer must be ONE WORD, we choose tree as the correct answer of this question. Local people found out that the black substance spotted at the root of the unlucky tree was different from burning ash of wood. It was soft, thus left marks everywhere. From the question Q2, we can assume that the answer must be an Adjective. + Just take a look at the fourth sentence: “ It was soft, thus left marks everywhere”, it could be understood that because it was soft, it left marks everywhere (or it was dirty to use). Considering that the answer is an adjective, “soft” must be the correct one of this question. Chemistry was barely out of its infancy at the time, so people mistook it for lead, equally black but much heavier. It was soon put to use by locals in marking their sheep for ownership and calculation. It was soon put to use by locals in marking their sheep for ownership and calculation. + The last sentence of this paragraph contains all the keywords => The answer must be somewhere in this sentence. + The answer must be the object of the verb sign in the question (or mark in the passage) so we need to find a noun that stands near the verb mark => “sheep” must be the correct answer of this question. Britain turns out to be major country where mines of graphite can be detected and developed. Even so, the first pencil was invented elsewhere. As graphite is soft, it requires some form of encasement. People found graphite 4_____ in Britain. Take a look at the first sentence in this paragraph: “Britain turns out to be major country where mines of graphite can be detected and developed”, this sentence contains all three keywords in the question => The answer must be somewhere in this sentence. + Understanding the idea in the question, the answer is something found in Britain which is related to graphite => The answer is “mines” since graphite mines is also written as mines of graphite. In Italy, graphite sticks were initially wrapped in string or sheepskin for stability, becoming perhaps the very first pencil in the world. The first pencil was graphite wrapped in 5_____ or animal skin. Q8: Italy is probably the first country of the whole world to make pencils. From the question, we can assume that the answer must be a Noun, something similar to animal skin (because of the conjunction “OR” in the question). + Take a look at the fourth sentence in this paragraph: "In Italy … first pencil in the world”, this sentence contains all the keywords in the question. With the value “OR” in the question, we just search for something similar to sheepskin in the fourth sentence => The correct answer must be “string”. Considering the details in the fourth sentence of the paragraph, it could be inferred that the question 8 is confirmed in the passage => The answer is TRUE. Then around 1560, an Italian couple made what are likely the first blueprints for the modern, wood-encased carpentry pencil. Their version was a flat, oval, more compact type of pencil. Their concept involved the hollowing out of a stick of juniper wood. Shortly thereafter in 1662, a superior technique was discovered by German people: two wooden halves were carved, a graphite stick inserted, and the halves then glued together - essentially the same method in use to this day. The news of the usefulness of these early pencils spread far and wide, attracting the attention of artists all over the known world. Q9: Germany used various kinds of wood to make pencils. Shortly thereafter in 1662, a superior technique was discovered by German people: two wooden halves were carved, a graphite stick inserted, and the halves then glued together - essentially the same method in use to this day. Note: Although German people and wooden appear in the passage, the text just shows the German techniques in making pencil from two wooden halves, not the various kinds of wood used. => The answer is NOT GIVEN. Although graphite core in pencils is still referred to as lead, modern pencils do not contain lead as the “lead” of the pencil is actually a mix of finely ground graphite and clay powders. This mixture is important because the amount of clay content added to the graphite depends on the intended pencil hardness, and the amount of time spent on grinding the mixture determines the quality of the lead. The more clay you put in, the higher hardness the core has. Since graphite was too smooth, 6 _____ was added to make it harder. The more clay you put in, the higher hardness the core has. Q10: Graphite makes a pencil harder and sharper. Note Q6: The answer must be a Noun. + Take a look at the sentence in this paragraph: “The more clay you put in, the higher hardness the core has”, so clay is added to increase the mixture’s hardness => The correct answer is “clay”. Note Q10: From the text: “The more clay you put in, the higher hardness the core has”, it could be inferred that clay is the substance making a pencil harder and sharper, not graphite => The answer is FALSE. Many pencils across the world, and almost all in Europe, are graded on the European system. This system of naming used B for black and H for hard; a pencil’s grade was described by a sequence or successive Hs or Bs such as BB and BBB for successively softer leads, and HH and HHH for successively harder ones. Then the standard writing pencil is graded HB. In England, pencils continue to be made from whole sawn graphite. But with the mass production of pencils, they are getting drastically more popular in many countries with each passing decade. As demands rise, appetite for graphite soars. Q11:In Britain, pencils are not produced any more. In England, pencils continue to be made from whole sawn graphite. Note: The phrase “continue to be made” in the passage contradicts with “not produced any more” in the question statement => The answer is False. According to the United States Geological Survey (USGS), world production of natural graphite in 2012 was 1,100,000 tonnes, of which the following major exporters are: China, India, Brazil, North Korea and Canada. However, much in contrast with its intellectual application in producing pencils, graphite was also widely used in the military. During the reign of Elizabeth I, Borrowdale graphite was used as a refractory material to line moulds for cannonballs, resulting in rounder, smoother balls that could be fired farther, contributing to the strength of the English navy. This particular deposit of graphite was extremely pure and soft, and could easily be broken into sticks. Because of its military importance, this unique mine and its production were strictly controlled by the Crown. That the United States did not use pencils in the outer space till they spent $1000 to make a pencil to use in zero gravity conditions is in fact a fiction. It is widely known that astronauts in Russia used grease pencils, which don’t have breakage problem. Russian astronauts preferred 7_____ pencils to write in the outer space. It is widely known that astronauts in Russia used grease pencils, which don’t have breakage problem. + By looking at the second sentence in this paragraph, we can locate the answer directly: astronauts in Russia used grease pencils to write => So grease is the correct answer. But it is also a fact that their counterparts in the United States used pencils in the outer space before real zero gravity pencil was invented. Q12: American astronauts did not use pencil in outer space. Note: The phrase used pencils in the passage contradicts with did not use pencil in the question statement => The answer is FALSE. They preferred mechanical pencils, which produced fine line, much clearer than the smudgy lines left by the grease pencils that Russians favored. But the lead tips of these mechanical pencils broke often. That bit of graphite floating around the space capsule could get into someone’s eye, or even find its way into machinery or electronics, causing an electrical short or other problems. But despite the fact that the Americans did invent zero gravity pencils later, they stuck to mechanical pencils for many years. Against the backcloth of a digitalized world, the prospect of pencils seems bleak. In reality, it does not. Q13: Pencils are unlikely to be used in the future. Note: The first sentence: “the prospect of pencils seems bleak” has the same meaning with the question statement. + But with the phrase: “it does not”, the next sentence rejects the opinion stated in the previous one => The answer is FALSE. + If do not take the next sentence into account, you could easily choose the wrong answer with the confusing word bleak. 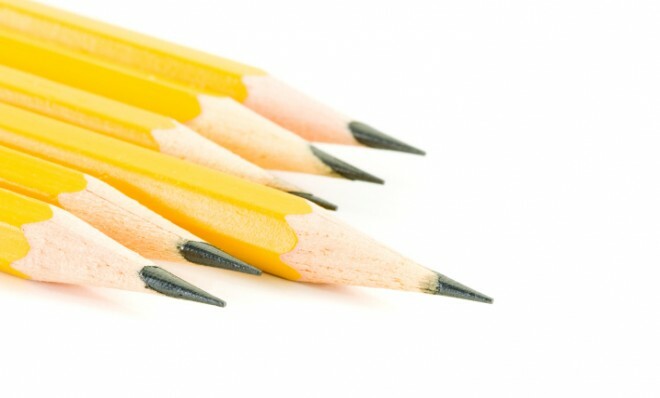 The application of pencils has by now become so widespread that they can be seen everywhere, such as classrooms, meeting rooms and art rooms, etc. A spectrum of users are likely to continue to use it into the future: students to do math works, artists to draw on sketch pads, waiters or waitresses to mark on order boards, make-up professionals to apply to faces, and architects to produce blue prints. The possibilities seem limitless. Answer: mines Locate in Britain. Answer: string Locate or animal skin. Answer: clay Locate was added to make it harder. Answer: grease Locate pencils to write in the outer space. 8 TRUEFALSENOT GIVEN Italy is probably the first country of the whole world to make pencils. 9 TRUEFALSENOT GIVEN Germany used various kinds of wood to make pencils. 10 TRUEFALSENOT GIVEN Graphite makes a pencil harder and sharper. 11 TRUEFALSENOT GIVEN In Britain, pencils are not produced any more. 12 TRUEFALSENOT GIVEN American astronauts did not use pencil in outer space. 13 TRUEFALSENOT GIVEN Pencils are unlikely to be used in the future.